Notice the metaphor in that title? “Violence epidemic”? We hear that kind of figurative language all the time. But what if violence really is an epidemic, or behaves like one enough to be fought like an epidemic? 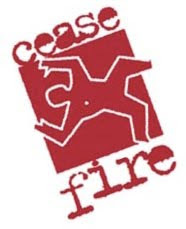 That’s the idea behind CeaseFire, an anti-violence initiative that’s amassing a pretty impressive record on bringing down violent crime in some of the most difficult neighborhoods in the U.S.
CeaseFire works through aggressive peer-led street outreach by ex-offenders with deep ties to the community, who gather intelligence on gangs in order to spot potential conflicts. Such conflicts are then mediated by the program’s famed violence “Interrupters.” At its peak, CeaseFire Chicago employed fifty outreach workers and fifty Interrupters, chosen from pools of candidates screened by professional and community panels to ensure they’d left the hustling life. Statisticians analyze the data gathered by outreach teams alongside data tracking violence collected by law enforcement, identifying up-to-the-moment crime hot spots, and focusing the program’s resources on those places where recent flare-ups of violence have potential to multiply through retaliation, breaking out and infecting whole neighborhoods. This is the kind of program the next government is going to have to implement if we’re going to make headway against the obscene murder epidemic now hitting so many Venezuelan neighbourhoods. Because when violence is as normalized as it’s become in Venezuela’s underclass, aggressive law enforcement (which, to be sure, we also need) just isn’t enough.